China’s pensions system is facing immense challenges. Rapid ageing, changing family structures, urbanization and the inevitable slow-down in economic development makes pension reforms an urgent and daunting task for the Chinese government. The entire Chinese welfare state is at a crossroads transforming from highly fragmented social programs and arrangements to a more comprehensive welfare state. The government has aimed at building and restructuring welfare programs including old-age pensions and the healthcare system. 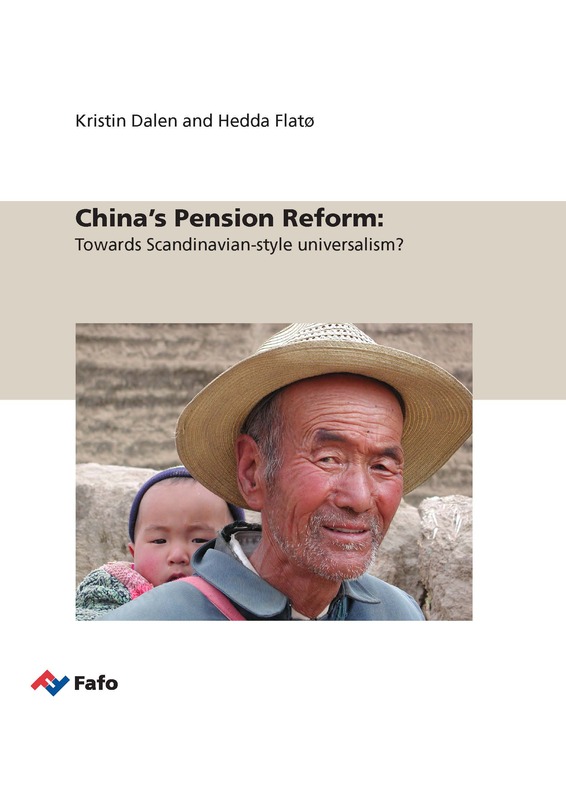 This Fafo report provides an overview of China’s pension system and its reforms, and it provides fresh data on how Chinese citizens view issues related to old-age security. This report is based on existing literature and public documents. We also present new results from a recent Fafo survey on popular perceptions of welfare and inequality in China. Sections of the brief have previously been presented by one of the authors in a conference paper (Dalen, Fløtten and Hippe 2015).